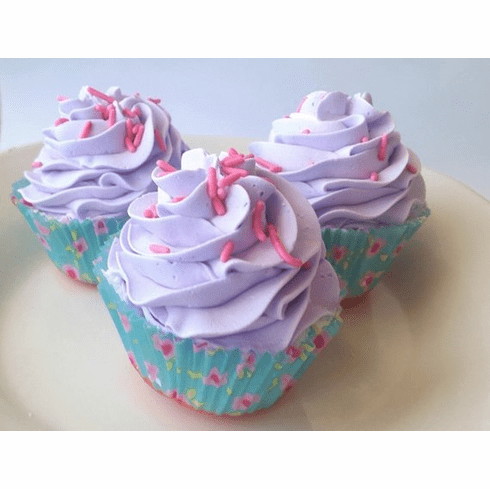 The fragrance in this bath bomb cupcake is not your typical fruity fragrance, it is a more delicate, dainty fragrance. It comes in a cute cello bag with a bow and a tag and is ready for your gift-giving. Weighs approximately 5 oz. and is made with apricot kernel oil. It is the size of a real cupcake. Cupcake liner may be different than the one in the stock photo. Does not contain detergents. Will not bubble only fizz.